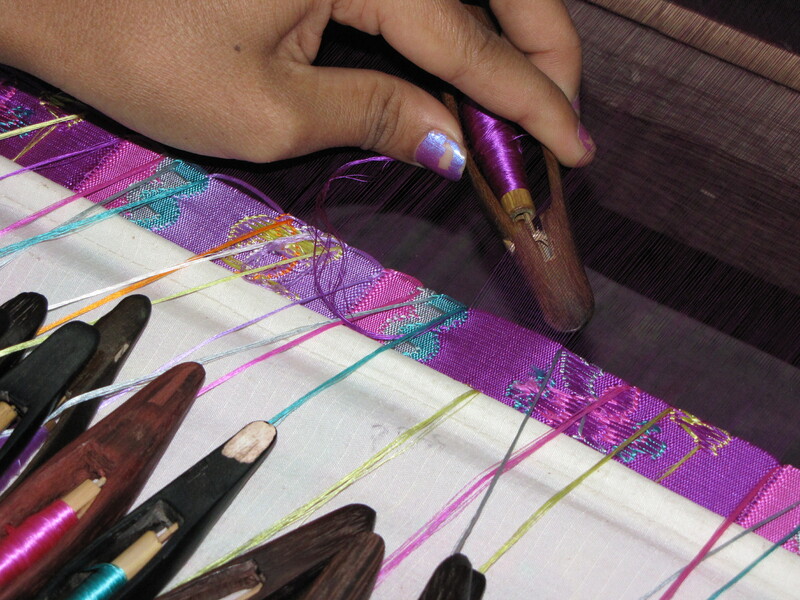 There are so many shuttles, that two or even three women sit side by side to share the weaving. 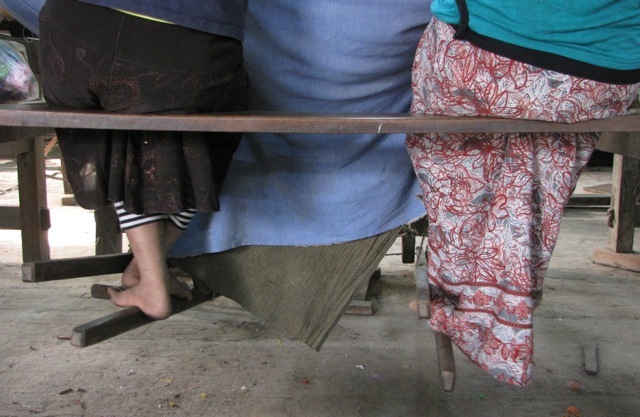 Even with two to share the work, I was told it takes a month to weave one longyi, or wrapped skirt, which is 2 yards long. 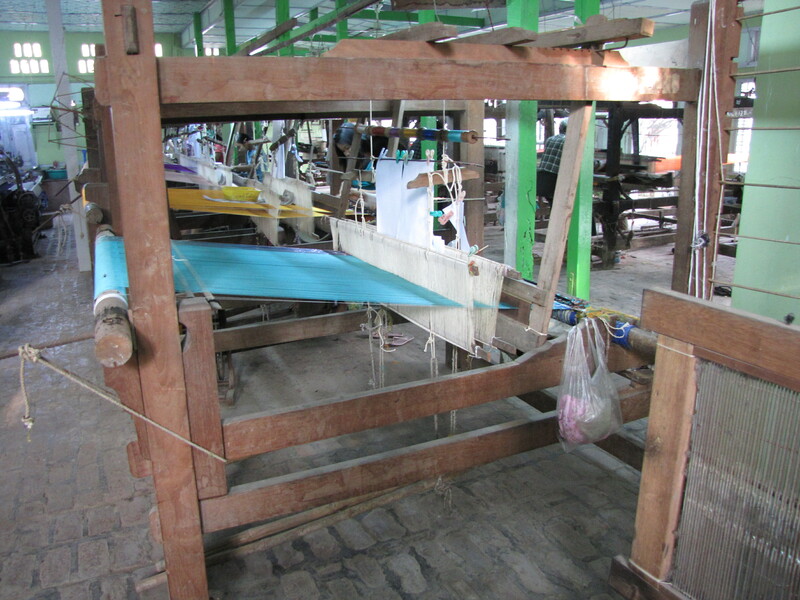 This factory sources their silk from both Myanmar and China, using whichever yarn they have in the colour they want. I stopped in at a shop so browse and was overwhelmed by the number and variety of intricate designs on offer. 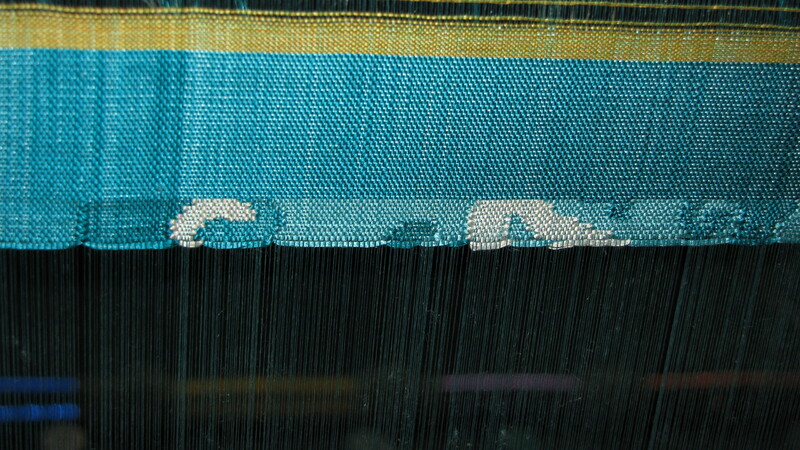 This entry was posted in Myanmar and tagged Acheik, Asia, Burma, ethnic, longyi, Myanmar, shuttle, tapestry, Textile, traditional, weaving by Wendy Garrity. Bookmark the permalink.